The Season 8 premiere of HBO's "Game of Thrones" set a record for viewership across all of its platforms Sunday night. The final season premiere for the series based on the set of fantasy novels by George R.R. Martin was watched by 17.4 million viewers on linear television and HBO's streaming platforms HBOGO and HBO NOW, the company said. 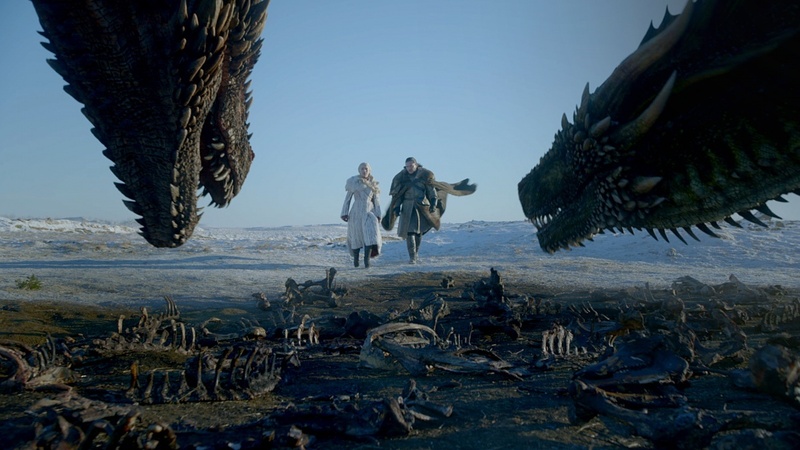 Sunday's "Game of Thrones" numbers topped the show's previous viewership record of 16.9 million for the Season 7 finale and the viewership for the Season 7 premiere, which was watched by 16.1 million viewers. Some 11.8 million people tuned in to the 9 p.m. "Game of Thrones" premiere on linear television, falling just short of the 12.1 viewers brought in by the previous season's final episode. HBO said the drop in television viewers may have been due to the fact the premium cable channel has been unavailable for Dish Network subscribers since November. "Game of Thrones" viewership on HBO NOW increased by 50 percent from the Season 7 finale and 97 percent from the premier, HBO said. To date, "Game of Thrones" has increased ratings every season, rising from 9.3 million per episode in Season 1 to its peak of 32. 8 million viewers per episode for Season 7.